LONDON, UK, July 10, 2012— Where does global marketing end and local marketing begin? Can procurement really help drive innovation? How can we address the increasing power of payers? These and other pressing issues in global healthcare marketing were the subject of the inaugural Indigenus Forum (IF) meeting held in Richmond, UK, at the offices of member agency PAN. Longtime proponent of a balanced “multilocal” approach to these issues, Indigenus, the largest independent global network of healthcare creative agencies, brought together pharmaceutical industry leaders from global and local marketing, procurement, and creative agencies for the meeting titled Finding the right balance between global marketing and regional/local country needs. The core expert panel, chaired by independent facilitator Simon Rhind-Tutt, brought together industry professionals from 4 different European countries representing 9 large- and medium-sized pharma companies. “The IF was a unique opportunity to meet people from diverse areas of pharma and provided for a robust discussion and much food for thought,” commented panel participant Nilesh Mehta, who contributed insights from his experience as a Global Brand Director at Novartis. The panel discussions were focused on finding solutions to successfully launch and maintain global brands across multiple customers, channels, and countries amidst increased competitive, regulatory, and economic pressures. The forum revealed that pharmaceutical companies often face the same challenges and that there is an urgent need to rethink the centralized global model. When asked about his experience at IF, Carlos de Lecea, Vice-President of the Spanish-based company Grupo Ferrer Internacional, responded: “This is evidence of the ‘new’ marketing: smart, fresh, agile, cooperative, and client-interactive. It demonstrates an outstanding analytical and multicultural approach." Indigenus global network Indigenus is the largest independent global network of healthcare creative agencies with multichannel capabilities. 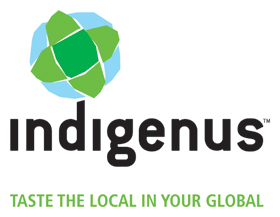 Indigenus was formed in 2004, and became an agency-owned limited liability company (LLC) in 2010. The network provides 100% global coverage, with 15 agencies serving major and emerging markets: The CementBloc (USA), PAN (UK), umbilical (Spain), Strategik & Numerik (France), serviceplan health & life (Germany), thenewway (Italy), g Healthcare (Turkey), Marketing Latino (Mexico), Sorento Healthcare Communications (India), PharMa International Inc (Japan), Thanks (Brazil), Lindh & Partners (Sweden), Micó & Asociados (Argentina), Insight (Australia and New Zealand), and CPC Healthcare (Canada). In addition, Indigenus is currently credentialing potential agency partners in China and Ireland. Secondary markets are served by the Worldsourcing Initiative (WIN), which centralizes rollout to drive brand consistency and cost-efficiency. Visit www.indigenus.net to learn more.